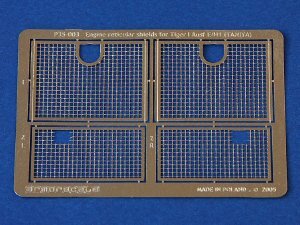 Armorscale photo-etched set is designed to fit Tamiya model of Tiger I and includes four rectangular mesh screens for engine grilles. 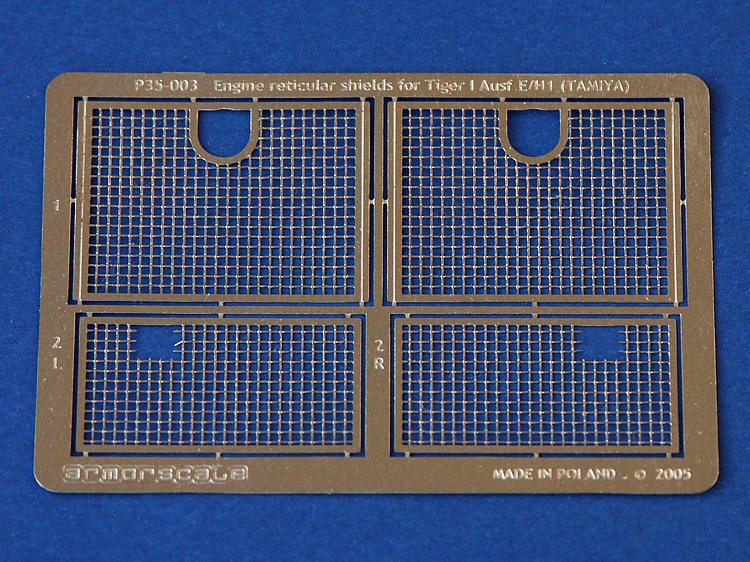 The set comes in a small plastic zip-bag with a small single metal fret inside, protected by a piece of cardboard. Included is also small instruction sheet showing the proper way of shaping and attaching grilles to the model on a couple of very clear diagrams. 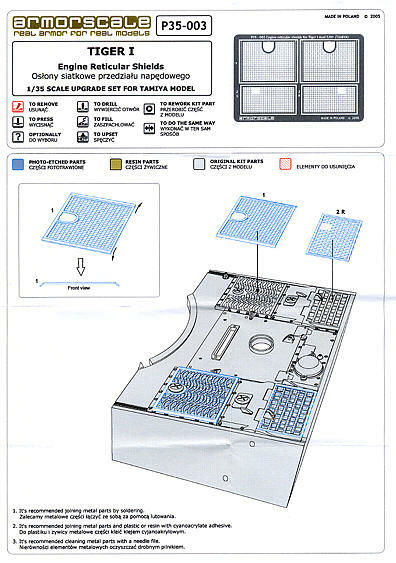 Various colors used to print instructions make them easy to read. 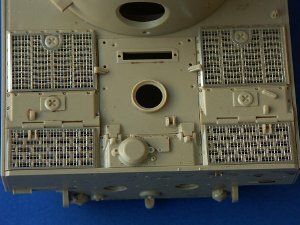 The metal used is not typical brass, but rather some more silverish alloy (side note - "silver" looking Eduard sets are etched from brass, they are just plated with some silver colored metal. 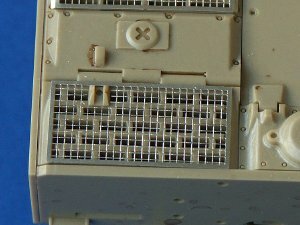 Sanding immediately reveals familiar brass color underneath. Armorscale metal is not plated). 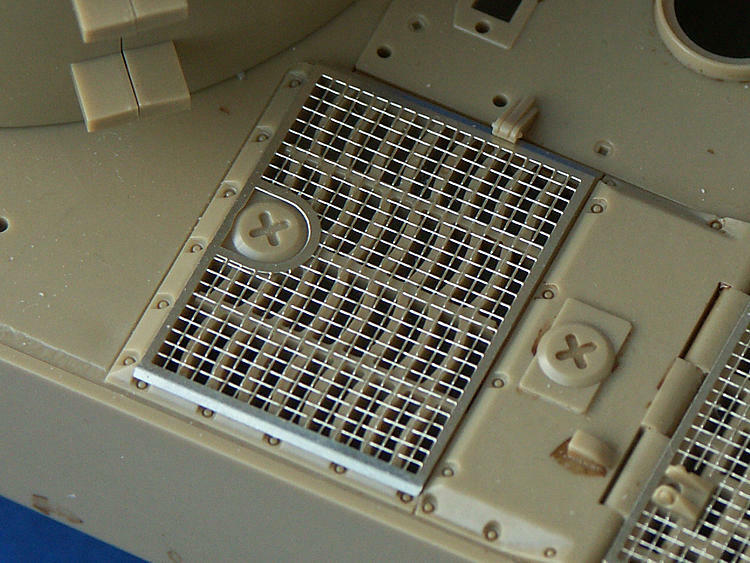 The meshes are etched with interwoven pattern depicted for more realistic effect. 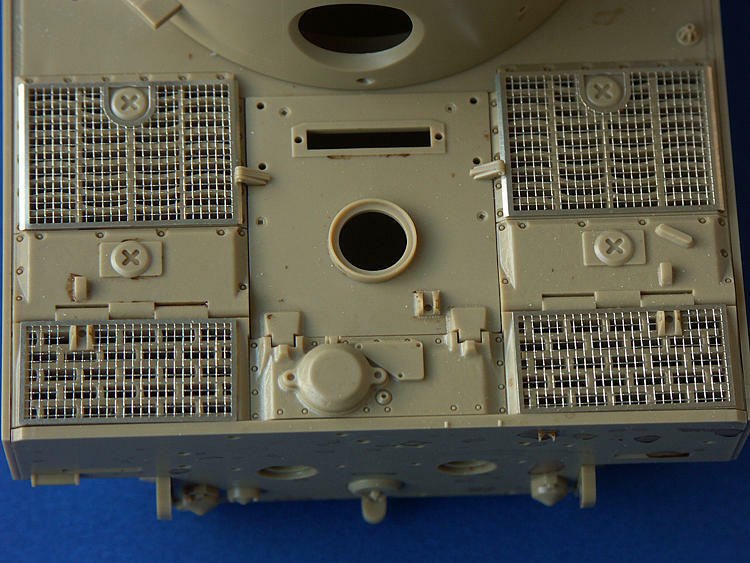 Lines along which parts have to be bent are cleanly etched, so bending should not pose any problems. 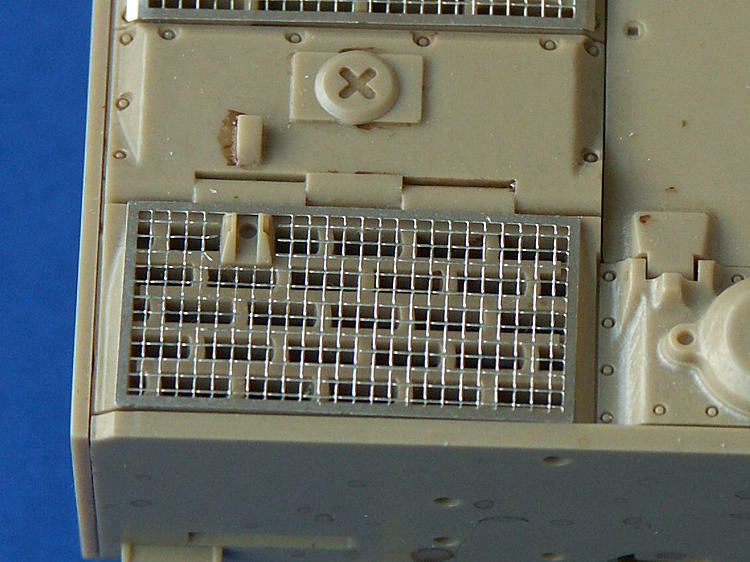 Photos below (provided by Armorscale) illustrate the parts attached to Tamiya model. 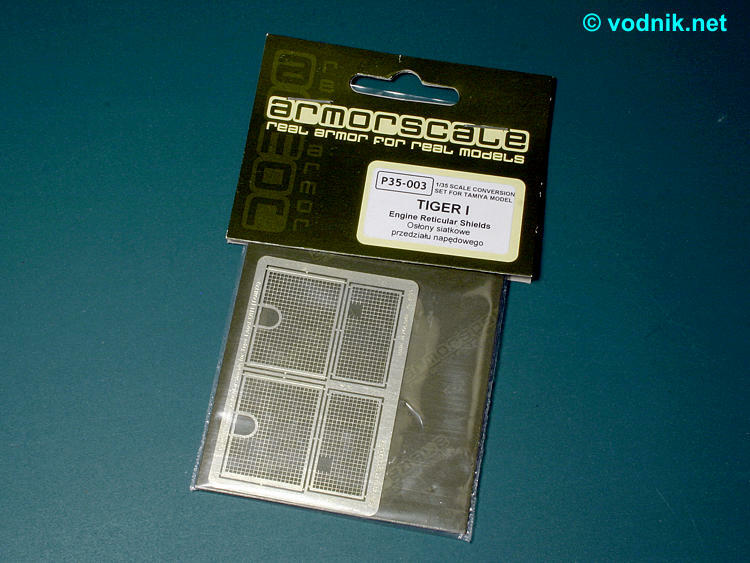 Simple Armorscale set should be a quite effective way to improve the look of Tamiya big cat.